We seem to be getting a lot of announcements lately about a company now producing an English version of some game. That's not a gripe, mind you. It's great to get games that otherwise wouldn't be in English made available to people like me who only speak English (as much as I've always meant to learn about... oh... a dozen other languages). 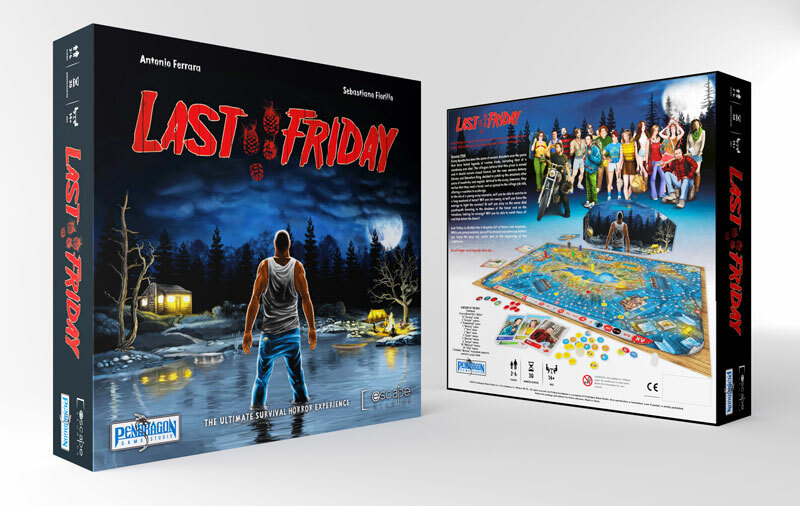 This time it's Ares Games and Pendragon Games that are getting together to bring us the English edition of Last Friday. In the game, players take on the role of teens at a summer camp, trying to have themselves a good time. Too bad there's a murder on the loose (I think I've heard this one before). One player is secretly the slasher, who must keep themselves hidden from the others while trying to take out as many as possible. It's all the classic horror movie tropes all in one. Expect the game on store shelves this August.